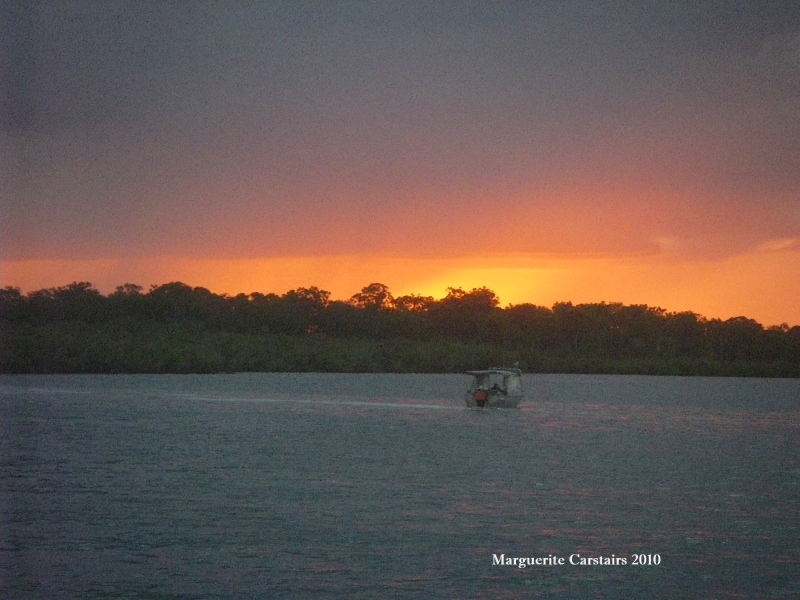 I stayed a few days on Moon River, a fishing trawler moored at Burrum River in Burrum Heads. The weather had been rainy and cloudy, so getting this amazing sunrise was a great experience. 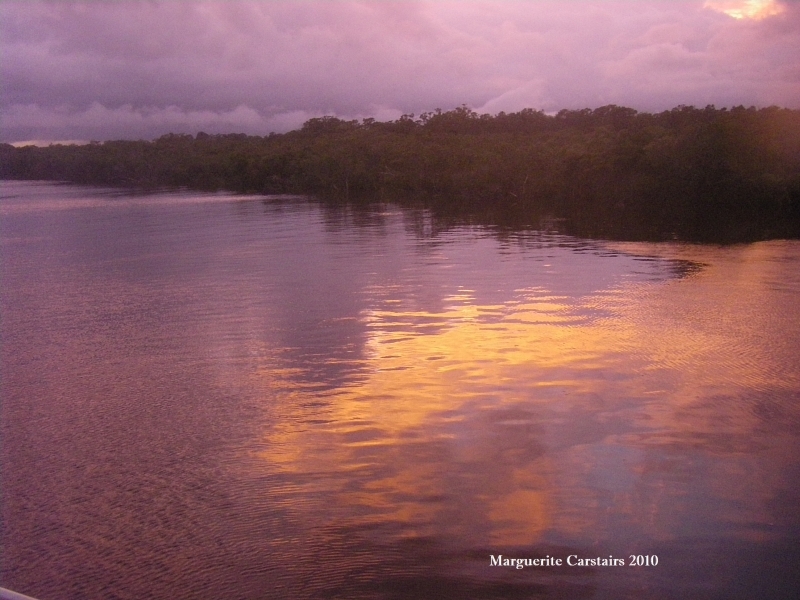 Waking up on the water to birdcalls from the mangroves closeby was a wonderful start to the day. 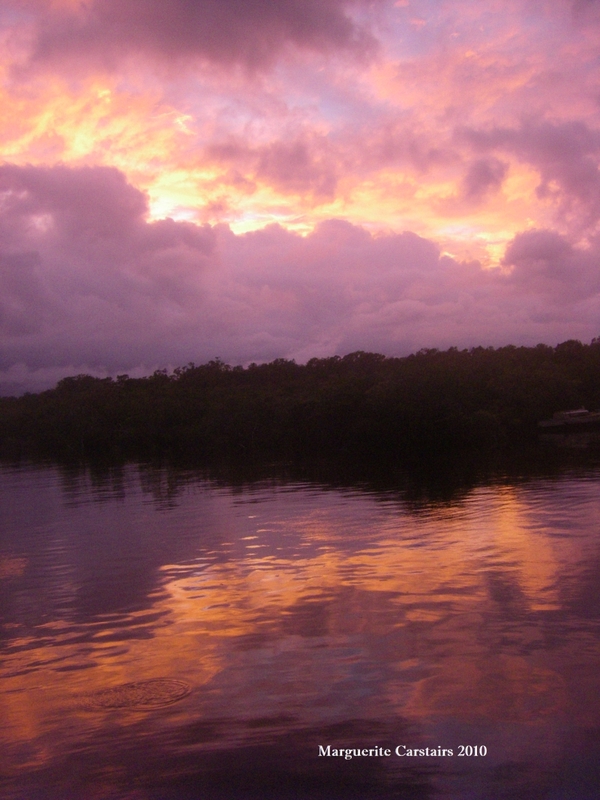 The colors of the clouds and the sky reflected in the water constantly moving as the tide went out. The Great Sandy National Park is the shore rich with mangroves that at low tide are exposed to scuttle hundreds of sandcrabs and soldier crabs. The peace of the morning was shattered by the roar of a fishing boat as it rushed off into the river past the slumbering yachts on the bay.